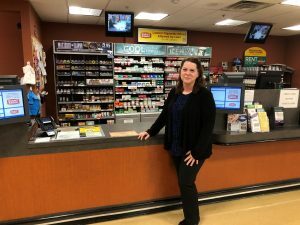 This week’s #TeamMemberTuesday is featuring Melissa, Front End Coordinator at our North Madison Giant Eagle in North Madison, OH! 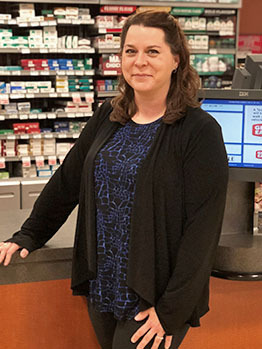 Melissa joined the Giant Eagle family almost 17 years ago while going to college and has been with us ever since. 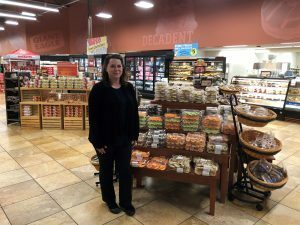 She even met her husband while working for Giant Eagle! Get to know more about Melissa here. I’ve been with Giant Eagle for almost 17 years. When I first started, I didn’t think I would be a ‘lifer’. I started working at Giant Eagle while I was going to school to be a Teacher. I started out in the Eagles Nest and working with kids everyday was so much fun! I loved it, and then it just kind of grew into where I am now. I was recently offered full-time status, which was thrilling to me. Giant Eagle is really interwoven in my everyday life. I have gained confidence in my abilities to achieve goals and complete a wide array of tasks, our Team Members, and many customers, are like family, and I met the love of my life at our store! I met my husband while working at Giant Eagle. We are about to celebrate our 8th wedding anniversary and couldn’t be happier! 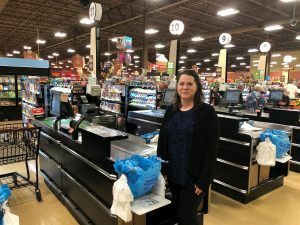 We both love our local Giant Eagle and being part of a wonderful community! I see the value in having decent benefits for myself and for my family. I do feel valued at our store. I feel a very strong connection to our community. We are a smaller store and it feels like family. Our customers feel like family too. We’re very fortunate to be at a store where we’re in a great community. We all work well as a team. Without teamwork, we couldn’t get it done each day. I like that people know they can depend on me. I’m a ‘go-to’ or a point person at our store. Everyone knows that if they need something, they can come to me and I’ll get it done. They know I’m responsible and trustworthy, and I will complete whatever task they give me.